As I said on the DDNet podcast this week: “if you can use ‘dystopia’ to describe a game’s setting, then I’m on board.” Republique is very much a vision of a dystopia, and on the PlayStation 4, it is both utterly delightful and instantly compelling. 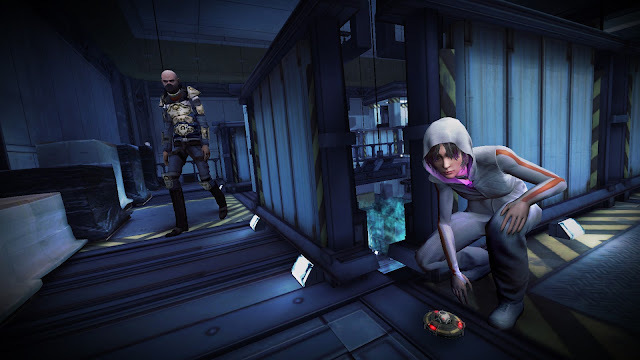 Republique follows the story of Hope, a girl who is trying to escape a facility run by Orwellian authorities that we know instantly are a danger to her. While Hope is escaping, she finds snippets of news that suggests that these authorities are clamping down on any kind of socialist or free thinking, and making use of every dirty trick that authoritarian powers have been known to use – this is a world of propaganda, censorship, and a harsh, punitive justice system, though appealingly a lot of that information is background information for Hope to uncover as she goes along. Luckily for Hope, she has some help in her efforts to escape; you as a disembodied entity. You inhabit the world by taking control of the security cameras are positioned so they can cover every square inch of Hope’s world. Your goal is to use your ability to jump from one camera to the next to help determine safe paths for Hope to travel past security guards and other threats, hack computer terminals, lock doors and flip switches to help her get around the facility and avoid recapture. This basic set up is a really clever way nod and subversion of the panopticon-style use of surveillance that is a common theme to all dystopian narratives. Where most examples of the genre make something sinister out of the surveillance, constructing them as a dehumanising force that moderates a person’s behaviour based on the assumption that they are under constant scrutiny, in Republique, those same cameras are emblematic of resistance and rebellion. They way they are used in the game is an ally and source of comfort to Hope. This is a really clever twist on the genre, and more impressively is that it’s not there just as a gimmick; the developers have subverted the genre tradition in a way that makes it integral to the gameplay itself. As a result, Republique feels fresh, creative, and is immersive for it. Each new room that Hope needs to navigate throws up dual challenges; first you’ll need to work the cameras to figure out the lay of the land and devise a strategy so that Hope can achieve all the objectives she needs without getting spotted by patrolling guards and the like. Then you’ll need to manipulate Hope herself to get her through the room and out the other end. 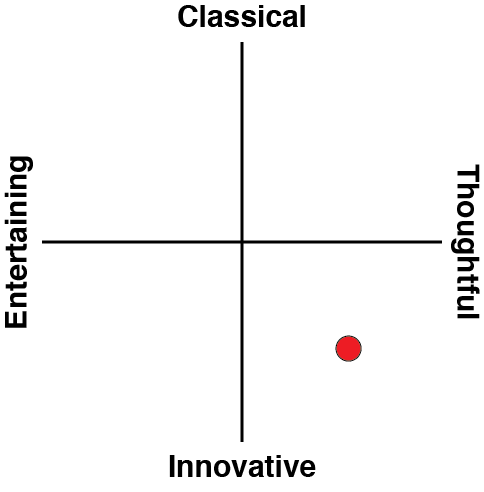 It’s a slow-paced game, even by comparison to its peers. 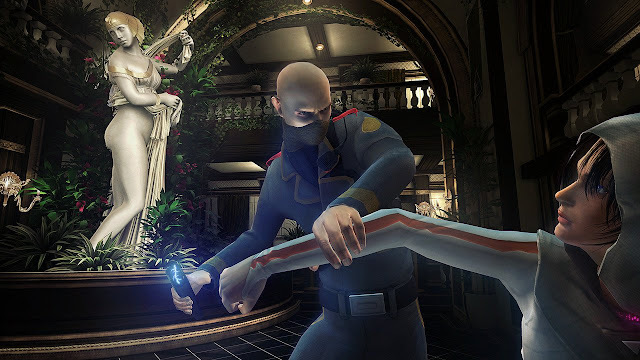 Stealth games already tend to be methodical in pacing, but in this one you’ll also be spending a lot of time with Hope stationary and hidden safely as you scout around via the cameras, but the pacing works to the game’s benefit, giving you more time to really drink in the incredible atmosphere of a gorgeously opulent, corrupt, world. This game was originally released on iPad and didn’t give you direct control over Hope at all. You’d need to tap on places you wanted her to move to, and then wait for her to follow through with the command. Thematically, it was actually a good idea, as it reinforced the idea that your ability to influence the world was largely passive, and yet, despite being an observer, such is the power of surveillance in the modern world that you were able to greatly influence the outcome of events. As thematically strong as the idea was, in practice it was a clunky mess to control, and Hope would often place herself in danger because you unwittingly tapped the wrong thing, and sent her wandering out of cover and into the sight range of a guard. Consequently, I wasn’t a big fan of the game on iPad. On PlayStation 4, you have direct control over Hope. 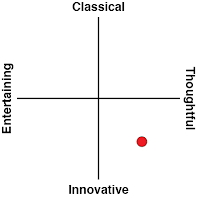 It loses some of the thematic strength as a result, but as I’ve already observed, it’s still a compelling vision of a dystopia, and now it’s better to actually play. 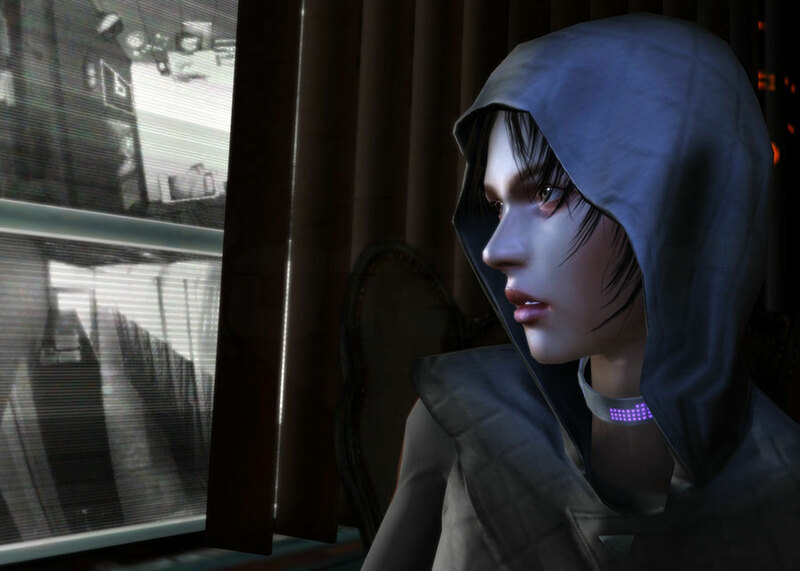 Hope still has the occasional issue with context; she’ll jump out of cover when you actually wanted her to stick to it like jelly, but for the most part Republique plays near-perfectly on the PlayStation 4, and it’s rare indeed that Hope would run into trouble thanks to wayward controls. The bonuses in this game have a personality all of their own. Guards have a tendency to carry discs, that you can acquire by quickly pick-pocketing. These discs don’t have an in-game purpose, but each of them represents an indie game, and the game’s narrator will launch into a short analysis of why that game is so great. From Gone Home to Shovel Knight, the challenge of acquiring all the discs is great fun, if for no other reason to hear the developers enthuse about the games through the narration. Of more practical value, it’s also possible to find propaganda newspapers and contraband material, such as ‘dangerous’ books, lying about the place. These provide additional background information to explain the narrative, or alternatively serve to remind us that totalitarian regimes are the ones that tend to determine that art is dangerous and needs to be controlled or censored. Though these descriptions are brief, they do show that Republique has had some deeper thinking go into it, because the analysis is quite on-point and sharp. And hey, anyone who can name drop Naked Lunch in any context gets a thumbs up from me. More practically, selling the information that you acquire from these resources to a shadowy hacker allows you to unlock additional abilities that can help with progress, such as the ability to predict enemy movement paths, or hack into computers to read emails. Of course Republique serves to act as an Orwellian-style warning against totalitarian and far-right regimes. The overwhelming bulk of the game is geared towards developing that theme, and its narrow focus does come at the expense of characters that I would have liked to see developed to far greater depth. But it’s also a superb pure stealth game, and it’s always nice to see these kinds of games done without a reliance on violence. Republique is also utterly beautiful, and coming to the PlayStation 4 as a complete package, rather than the chapter structure it adopted for the iPad release, is greatly welcome. This way, it is a complete package, this game is a chunky, lengthy experience that will last you for quite some time to come.